Simply Intuitive – Crisp, clean views with simple configuration using ‘Drag & Drop’ method. 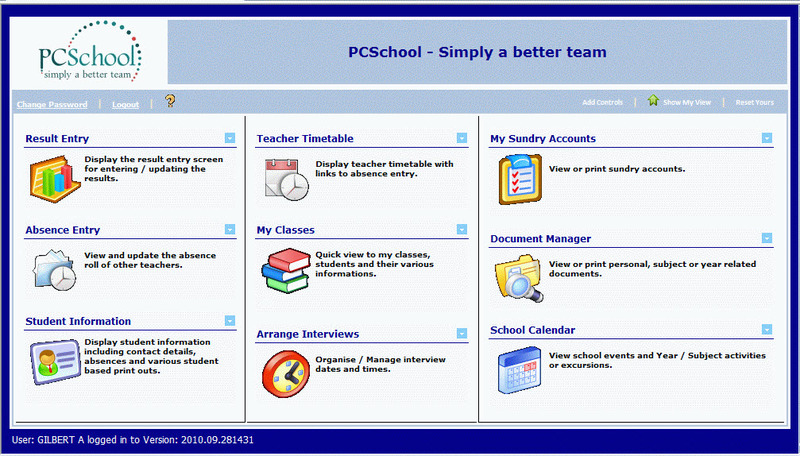 Simply Easy – Limited staff training required to be fully effective in use Web Application. Simply Powerful – Unlimited simultaneous users. Access from School and at Home. Simply Fast – Direct SQL connection. Secure, Fast, Robust.